Thimphu was the most surprising city in my entire trip to Bhutan. 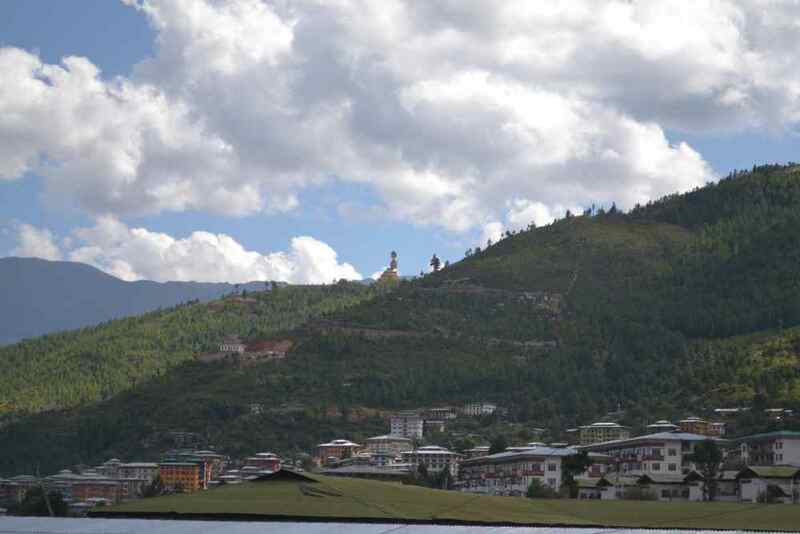 Thimphu, the capital of Bhutan is unlike the other capitals of the world, at least the ones that I have visited so far. I mean, yes, each city is different, but all of them have a few things in common, right? But this city is unique, beautiful and blissful, and I felt like I had to spend a few more days here! 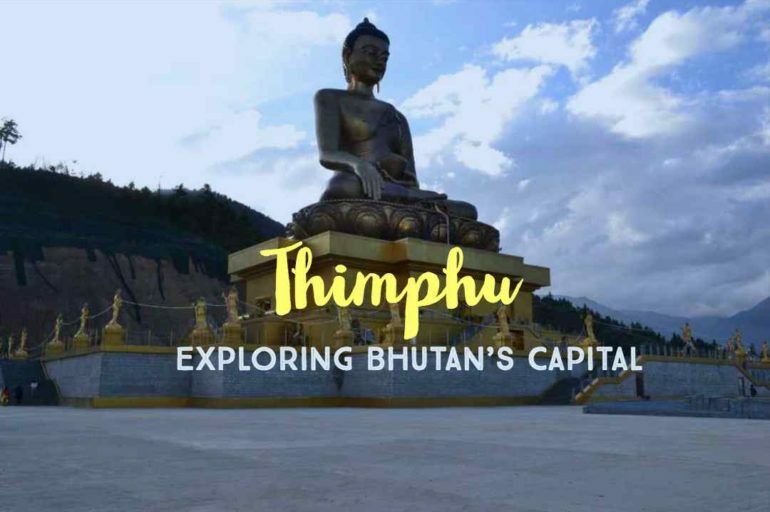 So let me first take you through the list of places to visit in Thimphu, with a bit of an introduction to the capital city. 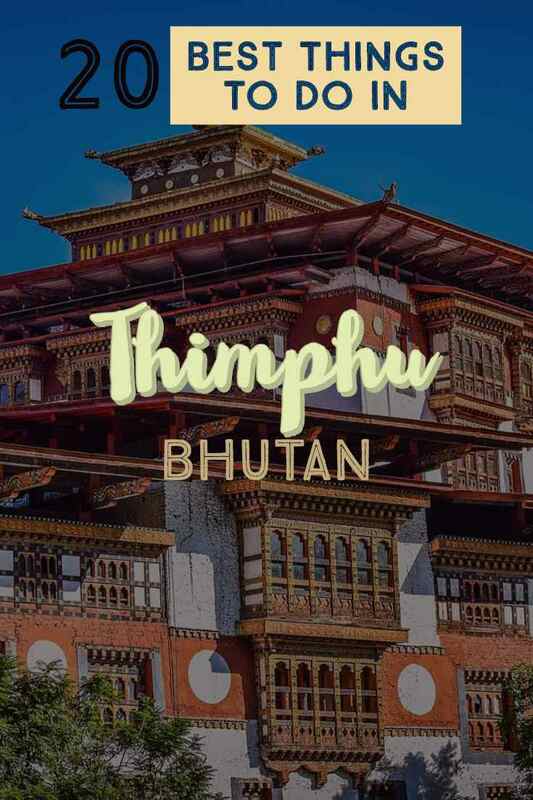 Thimphu was recently made the capital city of Bhutan, with the earlier capital being Punakha, also located in Western Bhutan. 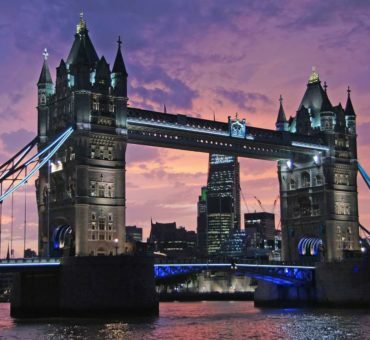 Home to the royal family, including the King and the Queen (and their son now), this city is the centre of all royal and administrative affairs. More interesting facts about this city later. 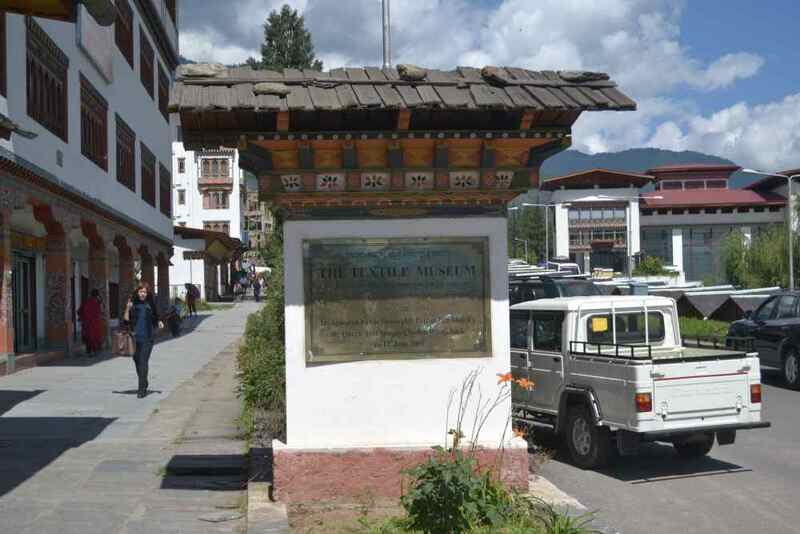 For now, read about the things to do in Thimphu. Where to stay in Thimphu? It was a cool evening when I saw the lit Tashiccho Dzong in Thimpu. Located on the northern end in the city of Thimpu, Tashi Dzong is a Buddhist monastery, which is a prominent fortress today. Built in the 16th century, the Dzong houses the main secretariat building comprising the throne room of His Majesty, the King of Bhutan. This is also one of the top places to visit in Thimphu. Inside the fortress is also the National Assembly Hall, which on the other side of the river from the Dzong. Home to the Institute for Language and Cultural Studies of Bhutan, Simtokha is a 16th-century Dzong, which consists of hundreds of wall paintings and carvings made on wood, especially, don’t miss to check out the ones near the prayer wheels! This fortress/temple/monastic school offers splendid views of the Thimphu valley, where you can see the distant peaks with the hovering clouds on clear days. It is perched on a ridge above Thimphu, in the south of Motithang. 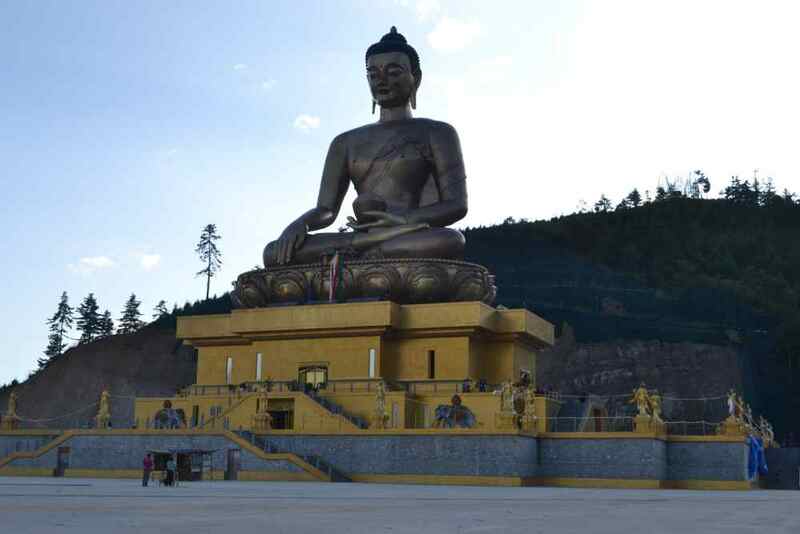 I just loved the largest Buddha of Bhutan at Thimphu. The enigmatic statue of the seated Buddha can be seen from most of the points in Thimpu, and it looks dramatic in the early mornings when it appears amidst the clouds, and looks poignant at night when it is lit. The temple was being built when I visited and I loved the views of the houses and the buildings that looked so tiny from the viewpoint. 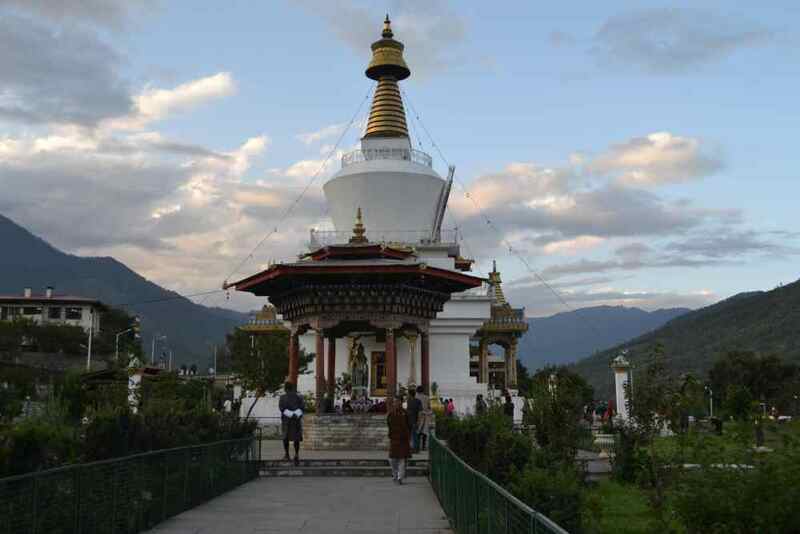 Built in1974 in the memory of Bhutan’s third King, which is popularly regarded as Father of modern Bhutan, this stupa is a national memorial, and you can see many locals visiting the premises every evening and morning to offer the prayers. I also found many of them meditating in the beautiful garden outside the memorial. The Chorten is a popular place to hang out for the people of Thimphu. The enormous and the imposing Dechenchoeling Palace lies to the north Tashi Dzong, and about 4 miles away from Thimphu city centre. 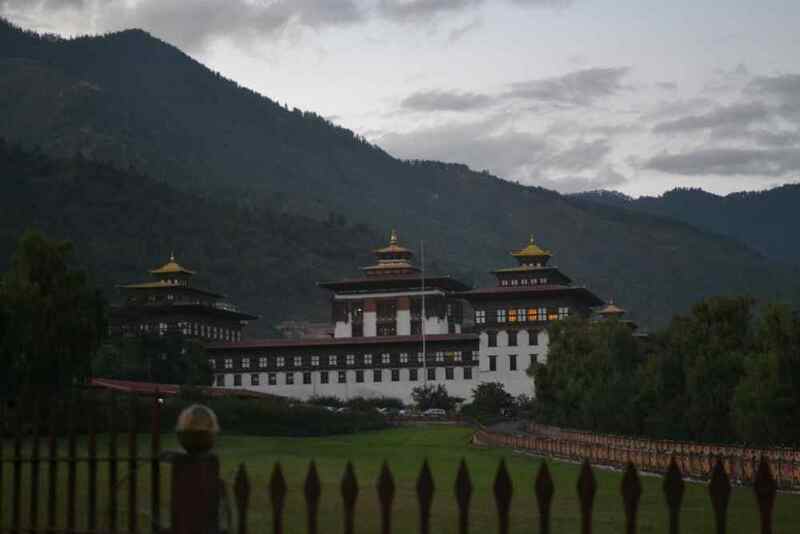 Located on the banks of the Thimphu river, the palace served as a royal residence for 3 generations of the royal family. Now it is the venue for delegates conferences and serves as the assembly hall for international dignitaries and visitors. The Arts & Crafts School or Zorig Chusum Institute is popular among the students wanting to learn arts and crafts. The institute offers a 6-year course on the 13 traditional arts and crafts of Bhutan. Although the entire institute is not open to the public throughout the year, you can take a tour. Recommended read: 11 Festivals of Bhutan That You Shouldn’t Miss! Entirely dedicated rural Bhutan, the National Folk Heritage Museum is an attempt to showcase rural Bhutanese culture, traditions and its people through exhibits and documentation. The main attraction of the Museum is a traditional house made of rammed mud and timber built in the mid 19th century, which demonstrates sustainable living. This 3-floor building consists of the household objects, farming and rearing equipment used by the people in the rural areas of Bhutan. If you are someone who loves books, you’ll enjoy your visit to the National Libray in Thimphu, which is a treasure house of Bhutan’s rich history and culture, which is well preserved including ancient texts and manuscripts. The library is also home to many modern books and houses printing blocks for prayer flags. Textile is an important industry in Bhutan, and many small and large scale textiles provide immense job opportunities to the Bhutanese, where they carry out export to other countries, especially the winter wear and traditional textiles with designs. The objective is to create a centre for documented study and research on Bhutanese textiles at this Museum. Just outside Thimphu city centre is Takin reserve forest, dedicated to the national animal of Bhutan, Takin, which looks like a cross between a goat and a cow. 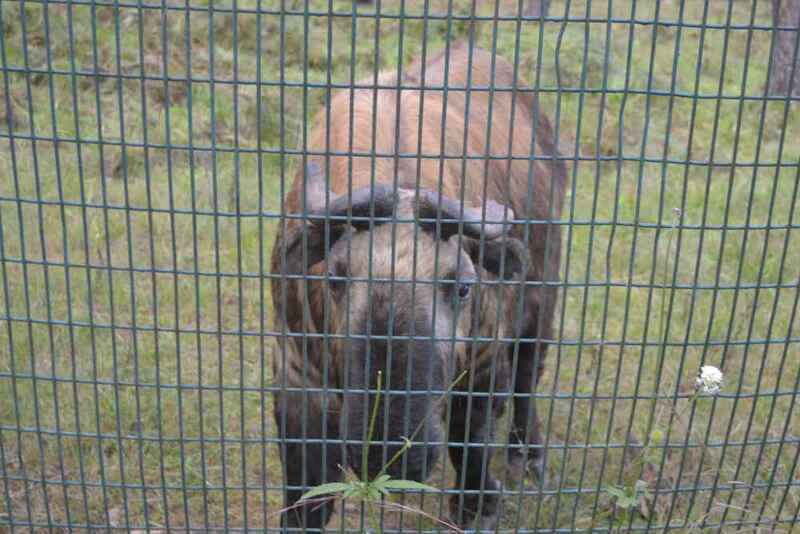 The legend is that the monk Drupa Kunley created this animal, and this rare species is just found in Bhutan. It is a well-preserved reserve area, and I loved witnessing the Takins in large groups. 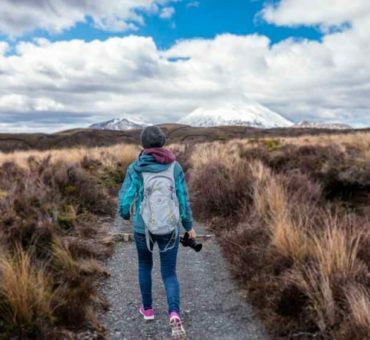 Located about 10 km from the centre, the Royal Botanical Garden is a lovely place with a collection of a large number of plants and trees belonging to various species. It is one of the famous places in Thimpu to hang out for the locals. If you are looking to do some shopping in Bhutan, Thimphu is the place to do. The main street Norzi Lam has many shops and the local market area as well. Here are the places where you can indulge in some shopping in Thimphu. If you are traveling in Bhutan during the weekends, especially if you plan to be in Thimphu, then it’s a jackpot for shoppers! Every weekend, locals from Thimphu and the surrounding villages on the banks of the river Thimphu to sell their products including textiles. artworks, handicrafts and souvenirs. It is a great place to shop in Thimphu. On the other end of Norzi Lam, you’ll find a great variety of Handicraft shops where you can shop for a big collection of colourful, hand-woven textiles and other craft products. If you are traveling in Thimphu on Tuesday and Wednesday, you can visit the Craft Bazar in Centenary Farmer’s market, which offers Bhutanese arts & crafts manufactured by the local artists. If you are planning to buy some unique things made of handmade paper, head to Junghi Paper factory in Thimphu, where you can take a tour of this paper manufacturing unit as well. Made of natural plants, mainly ‘Daphne’ which is insect-resistant, they manufacture papers used in scripts, carry bags, lampshades and more. 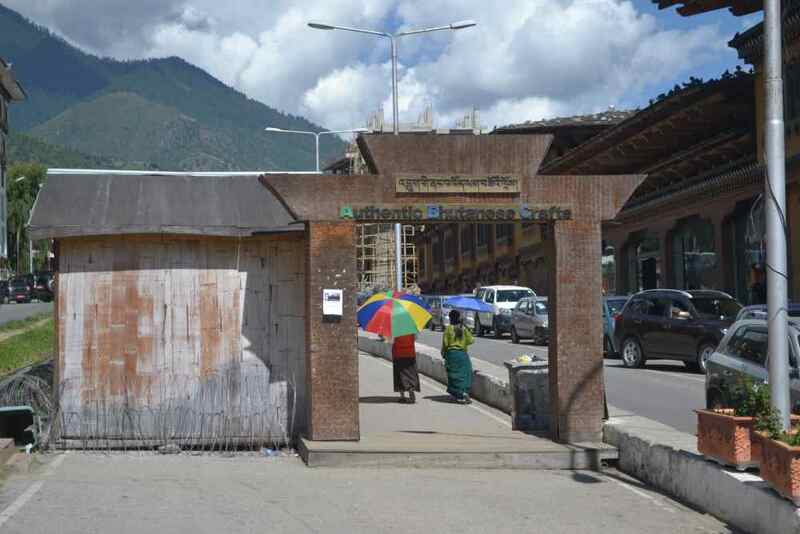 The average temperature in Thimphu is around 25 degree to 32 degree Celsius, which varies according to the season. 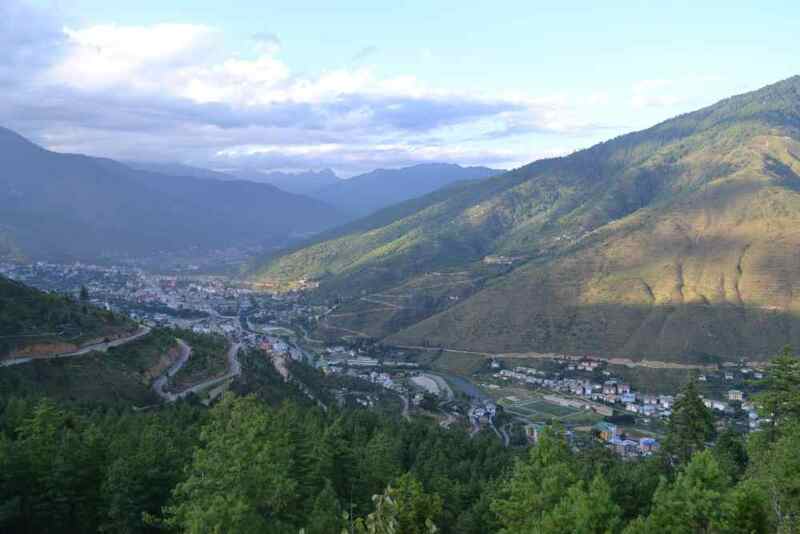 The best time to visit Thimphu is during the spring and fall. March to May and September to November are the best months, but Thimphu’s weather is pleasing throughout the year. Recommended read: What is the best time to visit Bhutan? Although the nightlife is low-key when compared to other countries in this region, Thimphu is the capital of nightlife as well. There are a few pubs serving beer and with dance floors, but the options are limited. Many Bhutan girls and guys can be seen partying at these clubs. The red light area in Bhutan is in Thimphu as well, close to these pubs, where escorts and beautiful Bhutanese girls have dance performances too. So make sure to check the right ones if you are traveling with families! Some of the monasteries that are located away from Thimphu make for a good option for hiking and drives. The monasteries worth checking out are Lungchuzekha Goemba, which takes around 3 to 4 hours to reach and is located close to Dochula Pass. 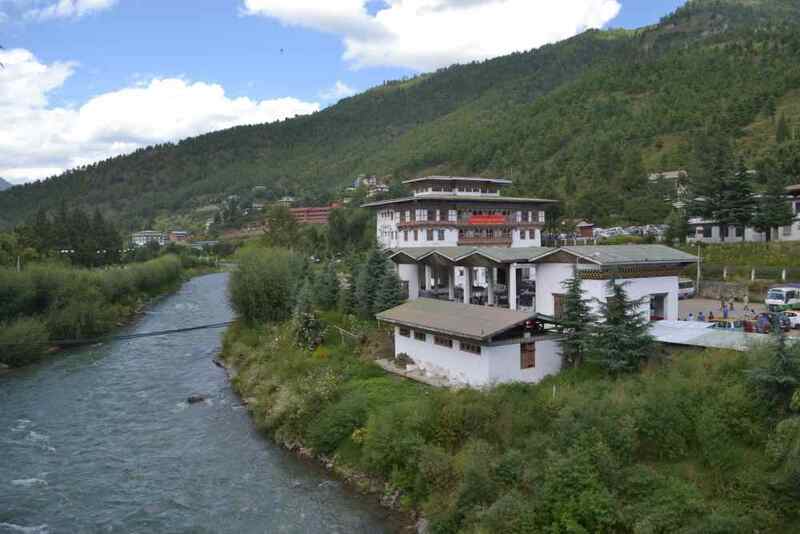 The place is surrounded by dense lush valleys overlooking the rivers, making it a great day trip option from Thimphu. Another monastery that can be hiked to is Cheri Goemba, which takes about 2 hours to reach, and is located about 5km from the centre. 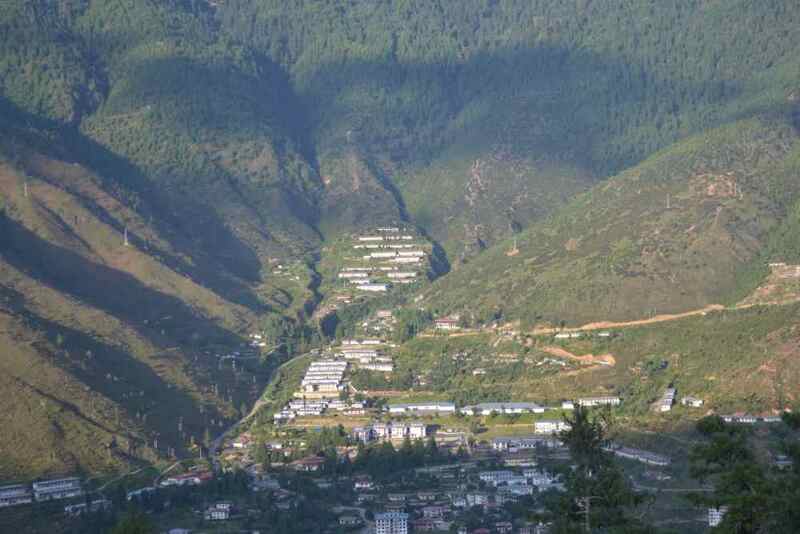 If you are planning to drive around, you could do the Sangaygang – Wangditse loop, which begins outside the phone tower in Thimphu and goes through Sangaygang – Wangditse which might take about 3 to 3 hours. Unlike the other parts of Bhutan, there are plenty of hotels in Thimphu in all budget ranges. Norzi Lam street is the centre and there are many on the same street. You can also find good accommodation options around the archery area and close to Thimphu bus stand. How To Reach Bhutan From India?